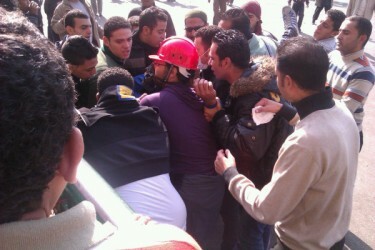 The battle for Tahrir  continues to rage for the third day today. Protesters who camped at Tahrir Square, the epicentre of the Egyptian revolution in downtown Cairo, have been clashing with police in a bid to reclaim the square, and continue demonstrating to press for achieving the demands of the revolution. Among the chief demands is calling for a civil government, to take the place of the Supreme Council for Armed Forces, the military establishment which has installed itself as the defacto ruler of Egypt after former President Hosni Mubarak was toppled in February. 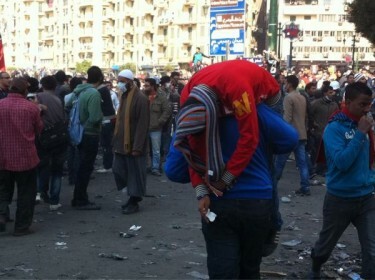 Reports say that up to 20 people have been killed  over the past three days. The unrest and clashes with police have also moved outside Cairo to the different provinces, where the people are raising demands, which echo those being made in Tahrir. Hundreds of people have also been injured, and activists in particular, are said to be targeted , amidst fears that the legislative elections  which begin on November 28, could be disrupted if the clashes continue. 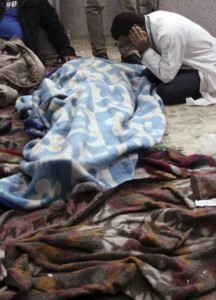 Field hospitals at the square are packed, with continuous calls on social networks for drugs and volunteers to provide emergency care for those injured in the clashes. 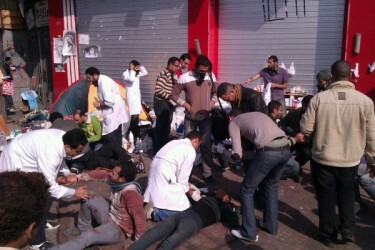 Mohamed Abdelfattah, on Twitter, was at one of the field hospital at Tahrir minutes ago and shares these observations. 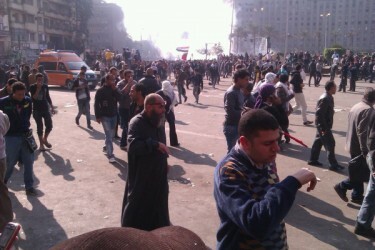 The events at Tahrir are fast-paced and netizens on the scene are active keeping people around the world updated with developments as they happen.